Readers Question Q) evaluate the view that ‘trade-offs will be required over the period of the cycle’? In the economic cycle, there is often a trade-offs between different macroeconomic objectives. 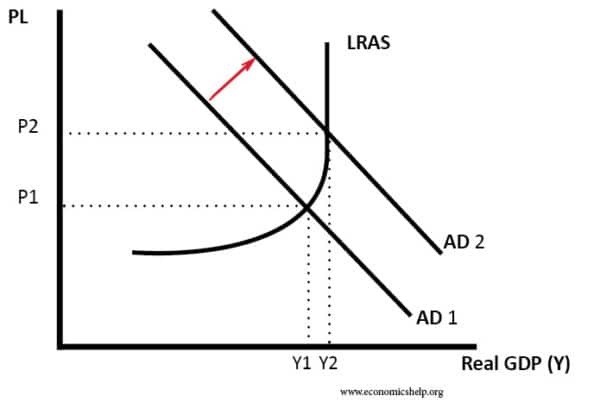 For example, if the government attempts to increase AD by implementing expansionary fiscal policy, we will get an increase in real GDP and therefore lower unemployment but at the cost of higher inflation. 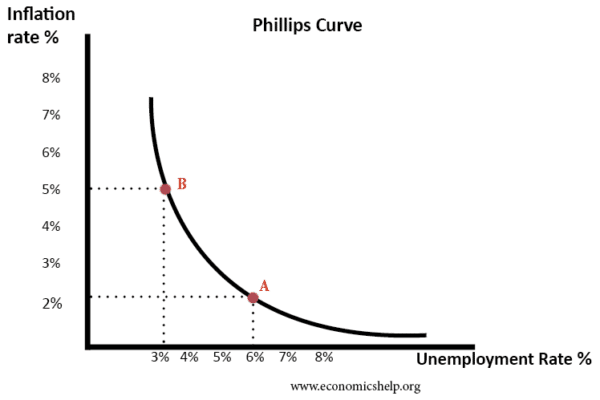 This is an example of a trade-off between economic growth + unemployment vs inflation. However, not all economists believe there is a trade-off. 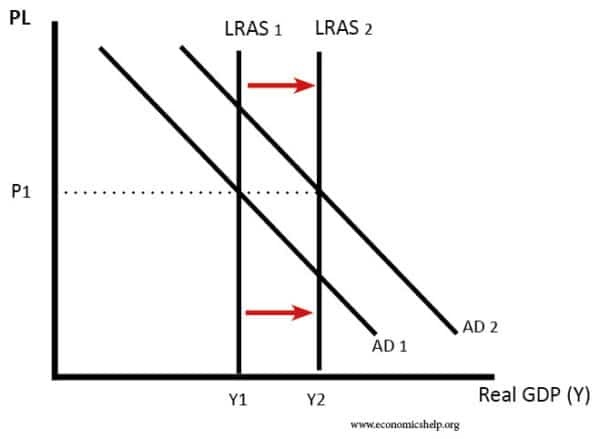 Monetarists believe LRAS is inelastic therefore in the long term there is no trade-off. Also, through supply-side policies, you can reduce unemployment and increase economic growth without causing inflation. Also, in the right circumstances, you can reduce both unemployment and inflation. For example, successful supply-side policies which increase economic efficiency. At certain times, keeping the value of the exchange rate fixed can causes costs – if the fixed exchange rate is overvalued. 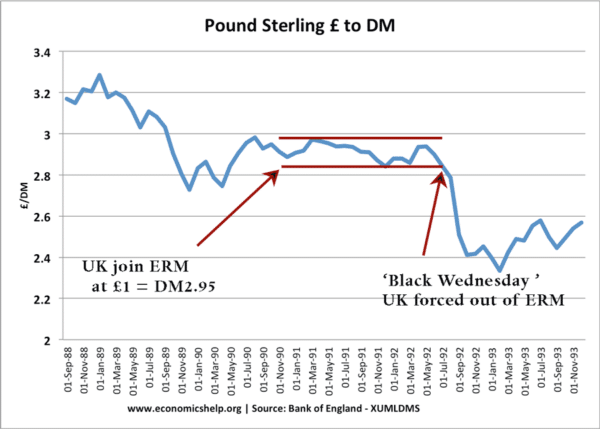 If the exchange rate is overvalued and the currency falling below its particular target zone, then the government will be forced to intervene – through increasing interest rates and/or buying currency. Higher interest rates will lead to increased cost of borrowing and lower investment and economic growth. The overvalued exchange rates will make exports more expensive, and cause relatively lower demand for exports. 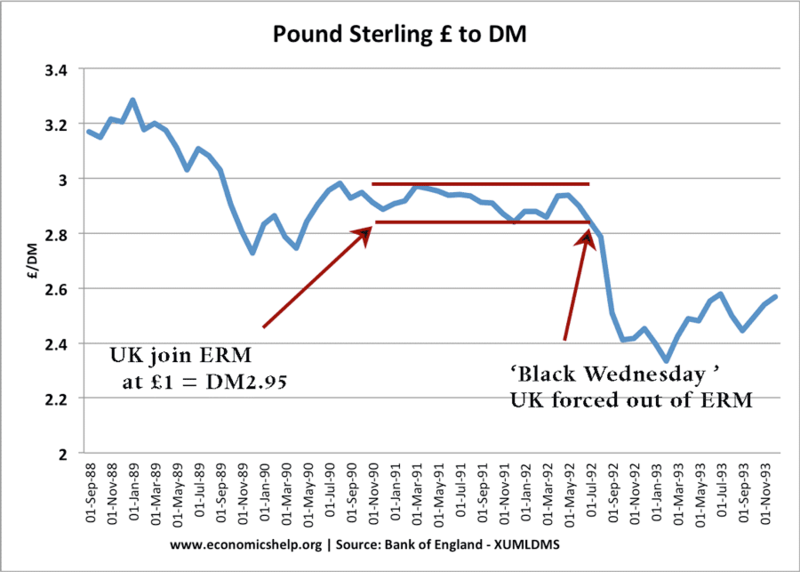 A good example is the experience of the UK in the exchange rate mechanism 1990-92. The government wanted to maintain a strong exchange rate. However, there was a cost of lower economic growth (interest rates too high) and a fall in exports. Another perspective is to consider the trade-off between economic growth (increasing GDP) and the effect on the environment and living standards. Higher growth which causes higher output can lead to increased pollution and use of non-renewable resources (such as water). This is an environmental cost – which may have long-term implications. However, economic growth doesn’t have to damage the environment. Economic growth which incorporates renewable energy and limits pollution. This trade-off can be explored with the Environmental Kuznets Curve. ← Are monopolies always bad? I need help because we are doing this project on the hydrosphere && I it asks about Economic Trade Off. And I was wondering if there were any trade offs concerning water related things such as water quality, water standards, water habitats, water prperties, water health indicators, water distributation, etc…Thanks. How does trade off between inflation and unemployment affects our economy?I am preparing for competitive exam of banking sector.